As most ESI Money readers know, I am a big fan of developing side hustles, primarily because they can get you to financial independence much faster than without them. That said, some people don’t want the time and hassle commitments sometimes associated with developing your own business. So when Uber Eats offered to host a sponsored post about making some extra side money without the time and commitment required of a full-time side hustle, I jumped at the chance. I asked my friend, Hank Coleman, from Money Q&A to write the piece since he has his ear to the ground on several ways to put more money in your pocket. Hank writes the reviews we host on Rockstar Finance and always has a balanced and comprehensive view of issues, so I was pleased he was able to accept. Whether you just want to save more money for a rainy day fund or you want to pay off debt more quickly, there are plenty of relatively easy ways to make money on the side. In the past, you might have had to sell plasma or distribute flyers around your local neighborhood, letting people know you’re available for pet-sitting, childcare, handyman work, or anything else you’re skilled in. My wife and I even looked into selling her eggs one time. Nowadays, there are plenty of ways to make money with little more than your smartphone. The gig economy is on the rise. It’s booming actually! And, the need to plaster flyers around town or get stuck with a needle is almost non-existent! Now is the time to take advantage of it and make extra money. Some of the following examples may require a bit more time and effort than others, but there’s very little money, resources, or effort required to get started on your next money-making side hustle. Here are a few great easy side hustles to try out and make extra money. There are plenty of apps designed to help you meet your fitness goals while earning money, but Sweatcoin is among the best. Available for both Android and iOS devices, Sweatcoin syncs with your phone’s accelerometers and GPS location to precisely determine how many steps you walk in a day/week/month. For every 1,000 steps you take outside, you earn 95 sweatcoins, which you can then convert into fitness gear, classes, gift cards, travel or even cash. For example, you can earn $1,000 cash from PayPal with 20,000 sweatcoins. Pet-Sitting with Rover or Wag! If you love animals, then Rover is a great app to get started with making money while walking dogs. There is a background check involved, but after that stage, you’re able to set your own rates for services that include: boarding in your home, dog daycare, house-sitting, drop-in visits, and dog walking (30-minute increments). You can even tailor your profile to highlight any specialty services you offer, such as administering medication, caring for puppies/kittens, or managing senior pets’ unique needs. Wag! is another dog walking and dog sitting side hustle site you can check out in your spare time to help you earn extra income. If you’re 18 years or older, have a smartphone, and basic experience with dogs, Wag! could be a fit. Once you’re accepted, you could earn up to $25 per hour. 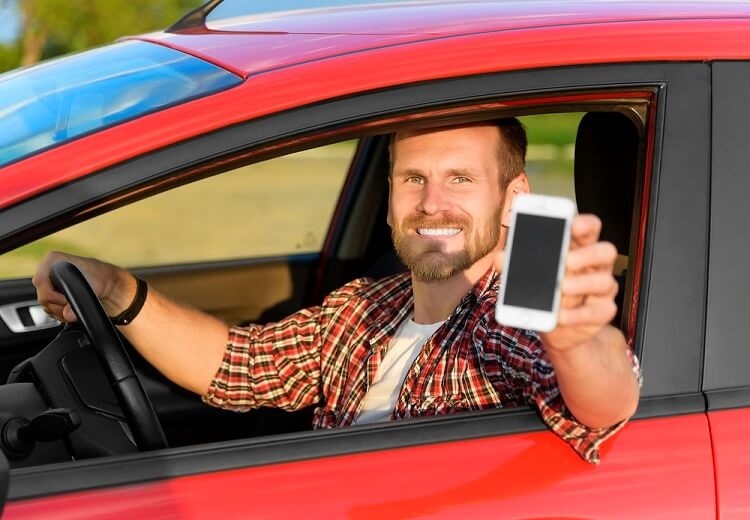 Have you considered driving with Uber but for some reason was afraid to take the plunge? Then a good alternative is to deliver with Uber Eats . Uber Eats is an online and app-based food delivery service currently available in over 100 cities in the US and Canada and growing. Delivering with Uber Eats is a breeze for anyone who lives near an area where it is available, and not only is there no boss involved but you can also get paid daily. Better yet, you can earn extra money when you need it, day or night, on your own schedule. You only have to be 19 years or older – great for students! Remember – When you click on a link to Uber on this site and sign up to drive, this can result in this site earning a commission. If you love watching movies and want to earn income with a side hustle, you can make $10 – $20 per hour as a Certified Field Associate through Market Force Information. Almost anyone in Canada and the US can apply, and once accepted, you’ll start to get email alerts with assignments. You’ll then get paid to watch trailers, record ads, count attendees, mystery shop as a movie patron, and more. Kango is designed for busy parents who need help with childcare and transporting their kids to/from school, extracurriculars, and other activities. Of course, anyone who wants to drive and/or provide childcare through Kango must undergo an extensive background check, but once you pass, you’ll be able to find parents in your area who are willing to pay for babysitting and carpooling services. There are tons of mystery shopping opportunities out there, but many of them lack the transparency, ease-of-use, and money-earning potential that Field Agent offers. By downloading Field Agent, you’ll be able to view shopping gigs in your area, acquire the necessary information (photos/videos and insight about specific products/services or the store itself), and eventually cash out your earnings via direct deposit or prepaid debit card. Most jobs range from $1-12 in value, depending on the difficulty of the task. Some may simply ask you to check the price of an item, for instance. Can you really make money with online surveys? Although these are commonly viewed as scams by many Internet users today, several legitimate consumer data companies are willing to pay you in exchange for valuable feedback on products or services. For instance, Surveys on the Go pays $1-5 on average for brief surveys ($20+ if you partake in surveys that require you to go to a specific location and take a photo or submit detailed feedback). Google Opinion Rewards and American Consumer Opinion are also well-known, legitimate survey websites. You won’t make a lot of money from completing online surveys, but it’s a great way to make money in your free time. Selling your unused or poorly fitting clothing is a quick and easy way to earn extra money. We all have a pile of clothes that we keep around in hopes of that we’ll lose weight. Or, maybe you have a ton of shoes that you never wear. Or, what about the dresses from past events that you only wore once? If you’re an artist, writer, or other types of creative individual, then Patreon is the place to be. Through this site, you can publish content accessible to specific tiers of members supporting you such as a basic level of content that’s free for anyone and exclusive content available to supporters who contribute a minimum of $5 per month, for example. It’s a great place to get noticed by new audiences and make money from your art, music, podcasting, writing, YouTube channel, and so much more. You may even be able to use Patreon to make money playing video games if you’re creative and be entrepreneurial. If you have a skill like writing, graphic design, computer programming, and a host of other skills, you could try your hand at a site like Upwork. Upwork is a site for freelancers to browse thousands of job postings from individuals and businesses. Upwork can help you find clients and then work from home to complete tasks. Many of these assignments can lead to reoccurring and long-term contract work. Or, you can find simple one-time jobs to finish that match your skill set. Another great way to earn extra income is to sell photos online. If you love traveling and photography, selling your photos can be a great way to pair increasing your income you’re your photography hobby together. There are several websites out there that are a great platform to post your travel and other photography such as 500px, DepositPhotos, and Getty Images. Or, you can make money from your photos in different ways like setting up your own site for people to buy the pictures or print them on t-shirts and other items. If you own your own home, then hosting guests with Airbnb is a fun and relatively easy way to boost your regular income. You can set your individual rates (including a cleaning fee), decide when you want to host guests (check-in/check-out times, certain months of the year, etc.) and meet new people from all walks of life. Why let that spare bedroom or office space go to waste when you can be charging guests $50-100+ per night to stay with you? Perhaps you’re not a fan of riding those new e-scooters you’ve seen on roads and sidewalks lately – but what if you could make easy money by charging these scooters for Lime or Bird? As a “Lime Juicer,” you’ll be able to view where scooters are located in your area, pick them up, and charge them at your home overnight. The typical earnings from Lime scooter charging seem to be around the $5-8 per scooter range, which means you can earn about $50-80 per night just for charging 10 scooters. You won’t get rich by any means (you do still have your own utility bills to cover, after all), but it’s nevertheless an easy way to make money after work in your free time. Flipping sneakers can be very lucrative. If you land the right shoes, you can resell them and make a ton of money. Certain sneakers can easily sell for two or three times their retail price on a secondary market. Postmates is an on-demand delivery side hustle platform that is free to join, takes no fees or commissions and gives you the flexibility to earn when it fits your schedule. Postmates helps you find people looking for takeout food, catering, small meal, beverages and the like from restaurants in your neighborhood. If you have a bike and live in the downtown of a major city, you can make some good side hustle income. Whether you simply want to save more money for your emergency fund, a fun family vacation, or to pay off debt, there are plenty of relatively easy ways to make money on the side. The gig economy is alive and well. There’s no longer a need to find a traditional second job delivering pizzas or mowing lawn. The key to your success in the gig economy might be a side hustle right in your living room from your smartphone or laptop. You can make money from home. A side hustle can increase your personal growth. They can help you reach your personal and financial goals more quickly. A side hustle can help you to not only increase your income but also push you to learn new skills and encourage you to develop new relationships. While this list is not all an inclusive list of all gigs by a long shot, it has a lot of great ideas that you might not have considered before. What are your favorite side hustles that we didn’t list? What do you love about side hustling? I’d love to hear how you make extra money in the comment section below! I’ve been involved in side hustles most of my life —- this collection of thoughts and ideas is perfect for a guy like me. As I ease in to retirement (23 months), I plan to do more and more in the world of gig economy. I sing in weddings and funerals —- I’ve sang in over 100 weddings and over 100 funerals during my lifetime —— just wondering how I could promote this offering to anyone who may need my skill and service. ??! 1. Connect with others who do weddings (photographers, planners, florists, etc.) to promote/recommend each other. 2. Write articles for wedding publications on “how to select music” for a wedding and include your contact info. 3. Ask past clients for recommendations when their friends and family get married. 4. Network with pastors and others that perform ceremonies. I’m sure there are many more, but these can get you started. 1. Create a basic website with your repertoire, photos and audio clips. People want to hear what you sound like. I include pricing and a calendar of dates already booked to cut down on casual inquiries. 2. Create a free account at weddingwire.com; have past clients post reviews here. There may be an equivalent for funerals. 4. Network with wedding planners and pastors who can steer clients your way. I knew about several of these but had no idea many of these existed. I learned about flipping sneakers from my son. He has more Nike’s than most women have shoes. He’s told me about the crazy deals he’s found and how he’s traded/flipped shoes. It’s crazy. He has a closet full of shoes from his flipping activities. I love the creativity of people. The internet is a perfect venue for all of this. Perhaps it’s just me, but rather than spend energy on low yield gigs like these, I think it’s better to invest your time in developing specialized skills in your area of passion and then seek to find differentiating capabilities that you can offer with your expertise to make “real” money. In my mind, that’s at least $100/hr. Otherwise, stick to your day job, follow ESI principles and enjoy life more. I love app where you combine earning money with what you’re supposed to do anyway. Going shopping? Use Field Agent. Driving somewhere? Offer Uber rides. Exercising or walking somewhere? Open Sweatcoin. These apps typically don’t make you a ton of money on an hourly basis so it’s important to make the work as effortless as possible. Which ones of these have you done yourself and see it as worth your time? Time is worth different things to different people at different stages of their lives. exactly. none. I ready this site religiously, one of my top links, but this post seemed really click-baity. I honestly expect more from you. Sell your travel photography. I happen to do quite a lot of travel, and landscape photography is a particular passion. The advice in that section is completely unrealistic. 1) “Set up website”. Sure, that’s a snap for most people. I’m in the process of setting up a website to host my images. Even using a SquareSpace template it is time consuming, and costs money, not to mention acquiring a domain. 2) print pictures on t-shirts. Wait what? I pay attention to alot of things, but I don’t think I’ve ever seen a travel image printed on a tee. 3) sell to stock photography sites-This is a legitimate way to earn money, but not realistic for most photographers. there are millions of images on stock sites, and it is very challenging to stand out in that space. Again, I really found the majority of options in this post to be either poorly thought out, our outright unrealistic. No clicking on the bait here from me. My wife does field agent and surveys. It’s just part of her shopping and couch time. Somebody else has to watch the kids though. I would recommend more specialized platforms than Upwork. Their rates are too low and not enough opportunities for journal editing at least. How about substitute teaching? As a retired credentialed teacher, I can work as much as I want. Even tutor at many of the tutoring firms. I only want about 2 subs a week so get those easily. I work in my own city school district only. My furthest school is maximum 3 miles away so I leave at 7.30 and am back home at 3. I pack a lunch so my costs are minimal. I had to submit fingerprints and have a background check and that was it as I have a credential and passed the basic skills test. Our pay is low, $110 per day but the schools and students are good so I am not going anywhere else. I really enjoy the stimulation. Hi Jo! This is great advice and one I plan to do once I retire! I was just wondering, how long were you a teacher/pension and retiring early? The whole thing just makes me nervous that I am locked in. Thank you! Actually I taught both in the UK and US. For 34 years, I taught as a science teacher in a Catholic high .school where I had a retirement fund and maxed out a 403b account and a Roth IRA. I love teaching and students so was able to work beyond 70 as well as have Healthcare from the school. So financially, I was well set up as was my husband. Medicare is important to me. I went into the district office on a whim when I retired and they signed me up instantly. So now I have about two assignments a week when I decide to work. My main interest is working with children. I do not regret not retiring early, I have been on residential courses all over the US to improve my knowledge. I am incredibly happy with a much loved husband of 56 years and darling children and grandchildren. We are all frugal and always have been. In the family, we say that we are war babies, with depression parents and immigrant children. We are all doomed! ESI – there is a correction needed for Sweatcoin. This is great information and a couple of them I am going to try. The walking app seems too good to be true, bit maybe its for advertising the “rewards” and that’s how its funded.